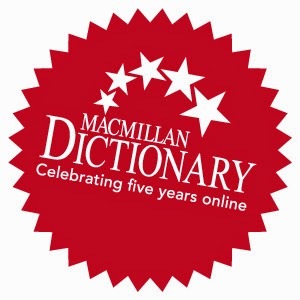 This month Macmillan Dictionary Online is celebrating its 5th birthday. Thus, Macmillan has prepared a number of surprises. 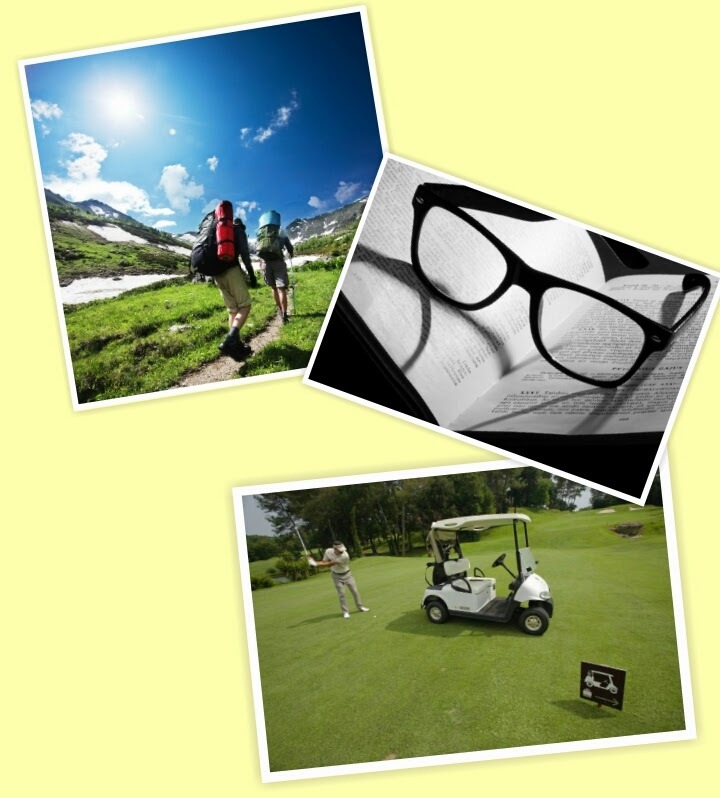 One of them is a Treasure Hunt and a lucky explorer will win an iPad mini. Visit their website here to participate and find out more. Another one includes a video in which you can hear what Macmillan Dictionary's most popular features are and see what it means for learners of English. Also, Macmillan Dictionary has introduced a brand-new game testing your knowledge of common words used with the verbs make, do, give and take. 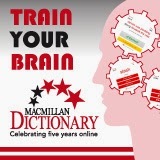 Have you ever used Macmillan Dictionary online? What do you think? Are you satisfied? 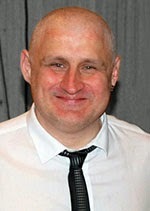 Gareth Davies is a freelance teacher, teacher trainer and materials developer based in the Czech Republic. He has been in the ELT industry for 19 years teaching in Portugal, the UK and the Czech Republic. Between 2002 and 2007 Gareth ran a Trinity CertTESOL course in Prague and since 2005 he has worked closely with Oxford University Press, delivering teacher training and developing materials. Gareth has contributed material to a range of titles including Solutions, Headway, Business One:One and Business Result. 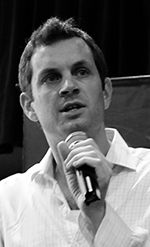 Gareth is also an author of fiction and is interested in developing creative writing ideas for the classroom. * These presentations are not a State approved teacher training programmes but participants will receive an Oxford University Press certificate of attendance. Oxford University Press - Predstavništvo za Srbiju organizuje Solutions Serbian Culture page takmičenje i poziva sve nastavnike i učenike koji koriste udžbenike Solutions (prvo i drugo izdanje) da osmisle Culture stranicu kojom će predstaviti kulturu Srbije, kroz ponuđene teme. Radove treba poslati u PDF formatu na oupserbia@oup.com najkasnije do 20. maja 2014. The Ed2.0Work European project is looking at how Internet technologies and mobile apps can be used in teaching, and a Europe-wide competition for teachers is organised. How do you use technology, apps, games or Web2.0 tools in your teaching? This is your chance to show your great ideas for teaching to the world and win prizes and a expense paid trip to present your ideas at European Conference in the Applications of Enabling Technologies, 2014 20-21 November 2014, Glasgow, Scotland. Entries can be made until the deadline on 12 September 2014 at 12.00 noon Central European Time. The ETp Live! conference takes place in Brighton on 21 June 2014. 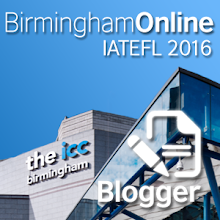 Aimed at professional English teachers, as well as Directors of Studies, ETp Live! will bring the practical approach of English Teaching professional to a full one-day event, which will feature a variety of seminars, interactive workshops, networking and facilitated discussions, all focusing on enabling professional English language teachers to improve their practice. Here is an interesting learning tool created by British Council. You can make any English tense or verb form by clicking just four buttons. 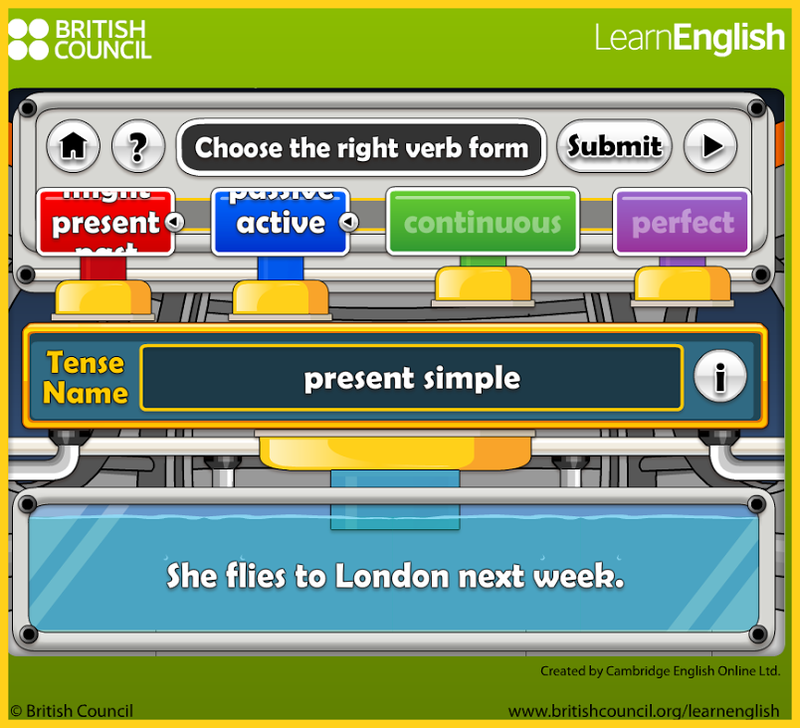 It can help you to understand and visualise how English verb forms are constructed. Try it out and tell me what you think. It was a most fruitful discussion, with both sides agreeing to adopt a common policy. Painting has been a lucrative pursuit for her.She often sells her paintings online. Textbook writing can be an intellectually and financially rewarding activity. I find swimming so relaxing. Fishing is such a therapeutic activity. It makes me feel good, and teaches me patience. I enjoyed being a secretary of the sports club but it was very time-consuming. I had to give up two evenings a week to do it. I'm a bit of a couch potato. I spend hours every day just watching TV. David's a real culture vulture; he goes to every theatre and art gallery he can find. Jane's a bit of a dabbler: she does a pastime for a couple of weeks, then she gets bored and starts something different. Dina's a shopaholic. She buys all sorts of things she doesn't need. Most alcoholics secretly hope that they will be able to drink sociably like other people. There are too many thinkers and not enough doers in this office. When I was younger I was heavily into politics. I went off football and I started playing tennis instead. I wonder what those two got up to yesterday? She locks herself away for hours in front of the computer. She's totally hooked on playing games these days. Are you busy this week? Yes, I have a pretty full diary. I hope you find the post useful. Please post your comments if you like this kind od posts. Teacher, storyteller and international conference presenter. The creator of Lessonstream, a resource site for teachers and a British Council ELTon award winner. Oxford University Press author. Titles include Images in the Resource Books for Teachers series (2009) and Bringing Online Video into the Classroom (2014). Description: Video-recording devices can give extra depth and meaning to the activities, tasks and projects that students get involved with. In this practical webinar, possibilities for mobile phones, tablet computers and other video devices in the hands of learners will be considered, both in and out of the classroom. Different technical, practical and pedagogical issues will be addressed along the way. Jeanne McCarten taught English in Sweden, France, Malaysia, and the U.K., and has many years of experience publishing English teaching materials, specializing in the areas of grammar and vocabulary. She was closely involved in the development of the spoken English sections of the Cambridge International Corpus. Currently a freelance ELT author, her main interests lie in applying insights from corpus research to language teaching materials. She is co-author of Touchstone,Viewpoint, and Grammar for Business, published by Cambridge University Press. Description: In Part 2 of the series the focus is on features of classroom materials that can contribute to the effective learning of grammar. For example, using inductive techniques to convey grammar rules is likely to improve a student’s retention of grammar patterns. Highlighting common grammatical errors may help improve students’ performances in tests, as will differentiating between written and spoken grammar. The speaker will consider various factors that can usefully contribute to the effective teaching and learning of grammar in English. Chris Redston has been in ELT for more than fifteen years, teaching in Turkey, Argentina and the UK for International House. He has also run teacher-training courses in Italy and the UK, and is an experienced author of adult course materials. He has travelled extensively, visiting over forty countries. Most people have a burning ambition which they hope to achieve. Hopefully, they will do their best to fulfill their ambition. However, it might be thwarted or frustrated. Not many people, unfortunately, achieve their life's ambition. And most of us have at least one unfulfilled ambition. > Joanna's still young but I think she's going to do well here. You're right. She's definitely one of the rising stars. > I've always had a burning ambition to be an actress. > You play basketball, don't you? Has your team won anything this season? No, but next year will be better. We've got some up-and-coming young players who are hungry for success. > What's the pay like in your company? Well, if you work hard and you're good at selling, the sky's the limit. > Jack chose to do computing at university. Well, he's a clever guy. Once you've got the degree, you can get a job almost anywhere you want - the world's your oyster. NOTE: Today oysters are expensive and few people eat them, but a hundred years ago they were eaten by everyone. They were one of the commonest forms of seafood. > He used to sleep on the floor of a friend's flat and now he owns a chain of hotels. That's what I call going up in the world. > High-flyers in the industry typically earn 25% more than their colleagues. > She'll move heaven and earth to get it done on time. > He's going to have to pull his socks up if he wants to stay in the team. > My sister doesn't want to go to university. She's setting her heart on becoming a singer. > The police said that they were confident of finding the escaped prisoners and would leave no stone unturned until every one of them was back under lock and key. > Justin has set his sights on winning the competition. > They pulled out all the stops for their daughter's wedding. > Andrew is ruthless.He stabbed Jack in the back, and reported Jill for being late. He's determined to become Area Manager. He'll stop at nothing until he gets the job. > People who have never used a computer get left behind when it comes to using social media like Twitter. And now a quick revision. Is there anything you would move heaven and earth to achieve? Oxford Centar Belgrade announces the third Module of the accredited Teacher Training Seminar ''My Classroom 2''. The seminar is accredited by the Ministry of Education for the school year 2013/2014, No. 826 (First Accredited for the school year 2010/2011, No. 313). Each participant will receive an Express Publishing seminar pack. Ovog aprila, Cambridge University Press u saradnji sa Cambridge English Language Assessment-om organizuje godišnju konferenciju Cambridge Day. Predavanja su posvećena veštinama učenja pravopisa za sve uzraste prema metodi "phonics", komunikativnom pristupu u obrazovanju učenika tinejdžerskog uzrasta kao i pripremi za Cambridge English ispite. Ovogodišnji predava Keren Eliot (Karen Elliott), Nika Bilbroa (Nick Bilbrough) i Boba Obija (Bob Obee). Više o autorima i predavanjima možete pročitati ovde. Ako želite da se prijavite za učešće na konferenciji, neophodno je popuniti ovaj formular. Broj mesta je ograničen. Potvrde o učešću na seminaru će biti poslate u sredu, 9. aprila 2014. godine. Sve konferencije u organizaciji Cambridge University Press-a i Cambridge English Language Assessment-a su besplatne za sve učesnike. Konferencija Cambridge Day je odobrena od strane ZUOV-a i nosi jedan bod profesionalnog usavršavanja (NB zbog tehničke greške seminar je u katalogu Zavoda prijavljen za 13. april).